Linda Crampton is a writer who lives in Greater Vancouver. She enjoys walking and likes to take photographs of her discoveries. The Burnaby Village Museum is a reconstructed village that represents life in British Columbia in the 1920s. A visit to the museum is always interesting and enjoyable. Staff members wearing 1920s costumes act as hosts and play roles that were traditionally part of village or small town life at that time. The general store clerk, the teacher in the one room schoolhouse, the Chinese herbalist, and the blacksmith are all available to answer visitors' questions. 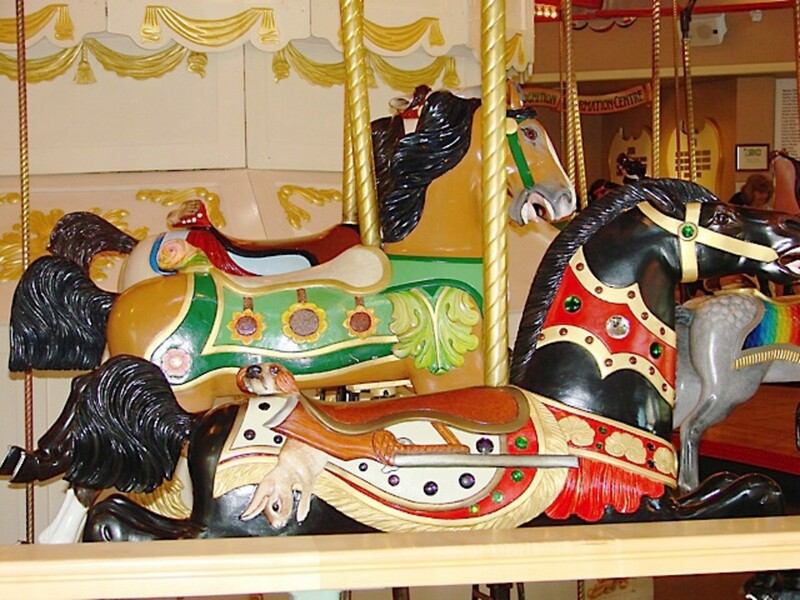 A special treat at the museum is to watch or ride on the beautifully restored carousel from 1912. 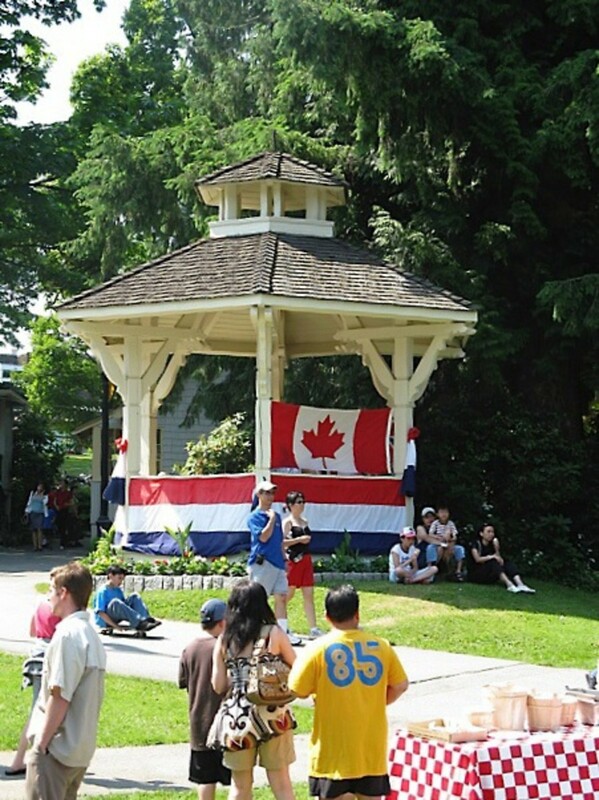 For several years, my family has celebrated Canada Day (July 1st) by going to the Burnaby Village Museum. There are always special events at the museum on Canada Day, including dancing, music, and other displays. In addition, visitors can often line up for a slice of a giant birthday cake that is made for the occasion. I took most of the photos in this article on recent Canada Days and the rest of the village photos during visits at other times of the year. 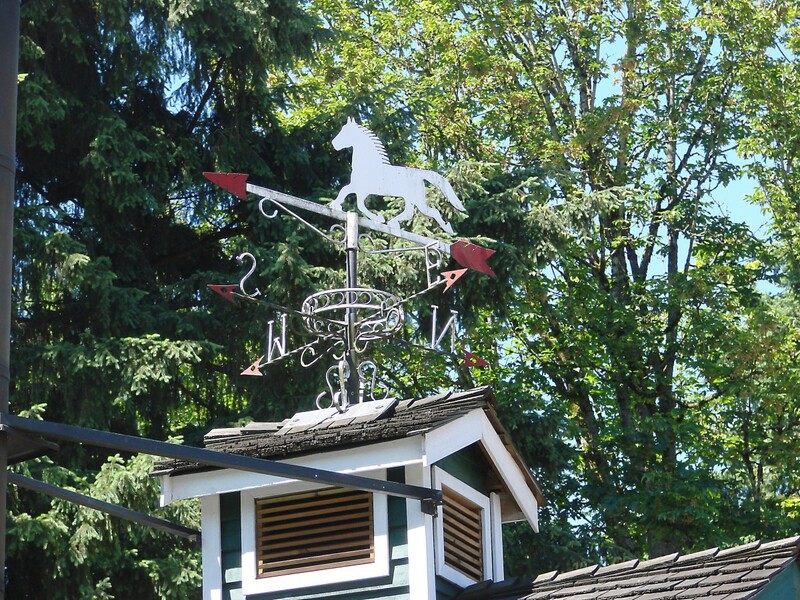 Burnaby is a city in the Canadian province of British Columbia. It adjoins Vancouver, which is the biggest city in the province. 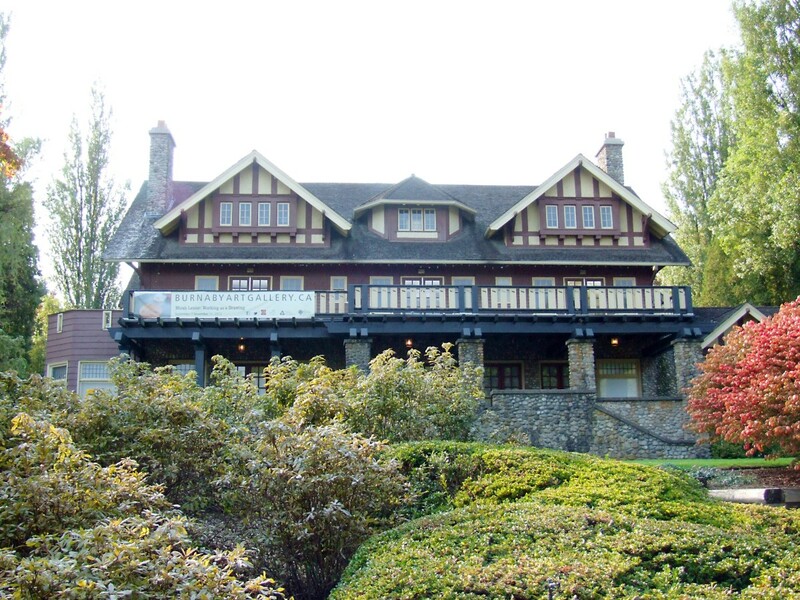 The Burnaby Village Museum opened in 1971, although it was known as Heritage Village at first. 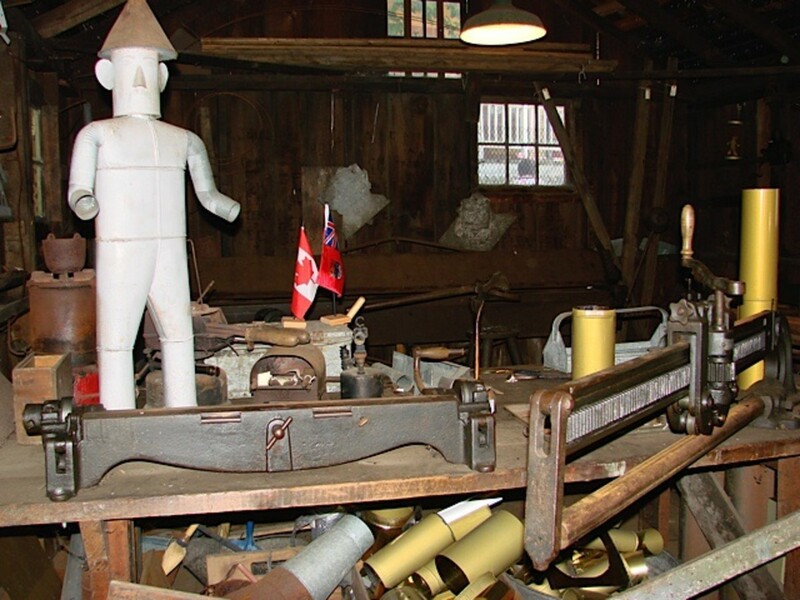 The museum is in Deer Lake Park and is located next to heritage homes from the 1920s—one of which has become part of the museum—and a lake surrounded by trails. Some of the buildings in the village are original and have been transported there from nearby sites. Others are realistic replicas. 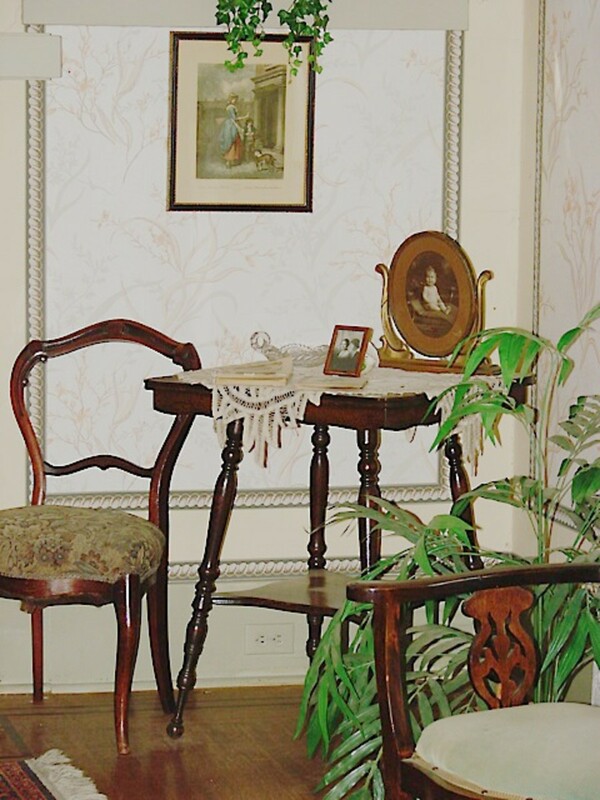 The furnishings inside the buildings are either original or are items that are as similar as possible to the original versions. There are many different things to see and do in the museum. 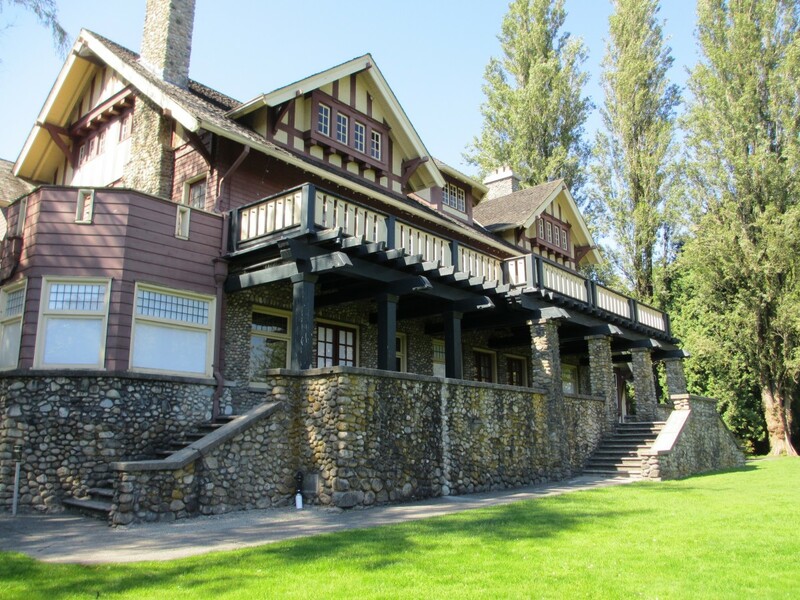 In this article I describe some of the highlights of a visit to the Burnaby Village Museum as well as some of the heritage homes that can be seen just outside the museum grounds. Elworth House (or simply Elworth) is one of the first buildings seen after entering the museum grounds. It was built in 1922 for Edwin Bateman and his wife Mary. Bateman was a retired Canadian Pacific Railway executive. He named his new home after his birthplace in England. The house and its garage are the only original buildings in the museum that are still located on their original site. The City of Burnaby bought Elworth in 1970, although at that time Burnaby was a municipality, not a city. The home became the nucleus of the new museum. Elworth is an attractive but relatively modest building compared to some of the other heritage residences in Deer Lake Park. I prefer Elworth's appearance to that of its more grandiose neighbours, though. Elworth was designed by architect Enoch Evans. The front of the house has a long veranda supported by columns. The gabled roof has a front shed dormer. A dormer is a structure that protrudes from a sloping roof. The roof of a shed dormer points downward at an angle less than that of the roof. The veranda, the graceful columns, the sunny colour of the paint, the dormer, and the attractive landscaping in front of the house combine to make a very pleasant scene. Seaforth School was a one room schoolhouse that opened in 1922 with 20 students. 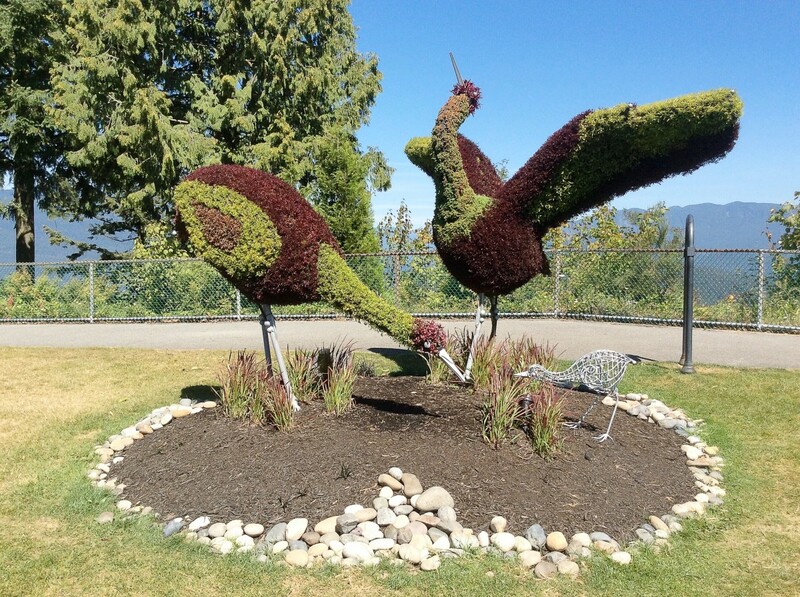 It was originally located in an area on the north side of Burnaby Lake. 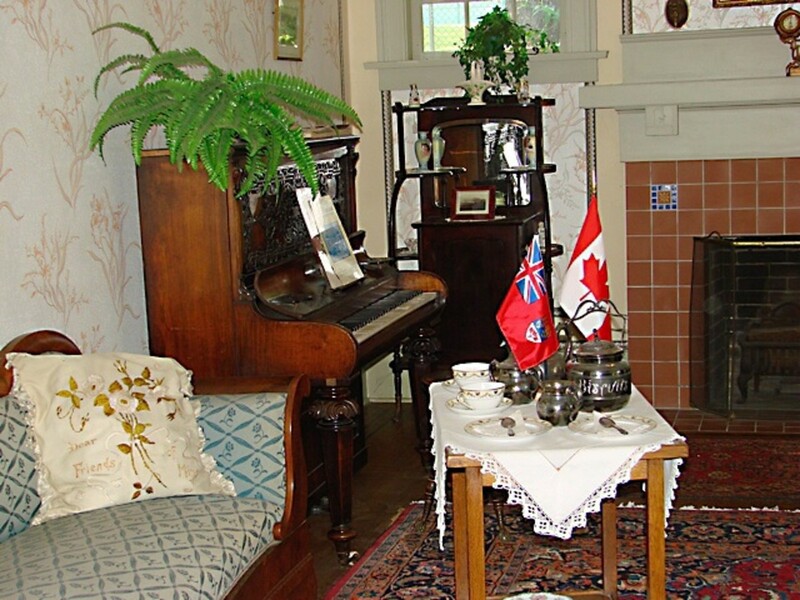 The building was moved to the Burnaby Village Museum, restored, and opened to the public in 1987. The Seaforth School contains a British flag and has pictures of King George V and Queen Mary on the wall. 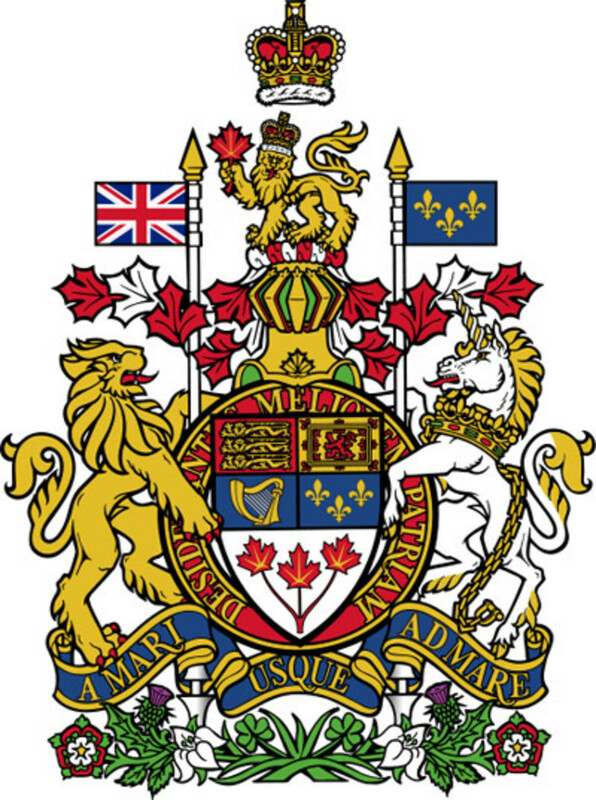 In the 1920s Canada was under British rule. The school also contains a large stove which would have been useful for heating the building in winter. 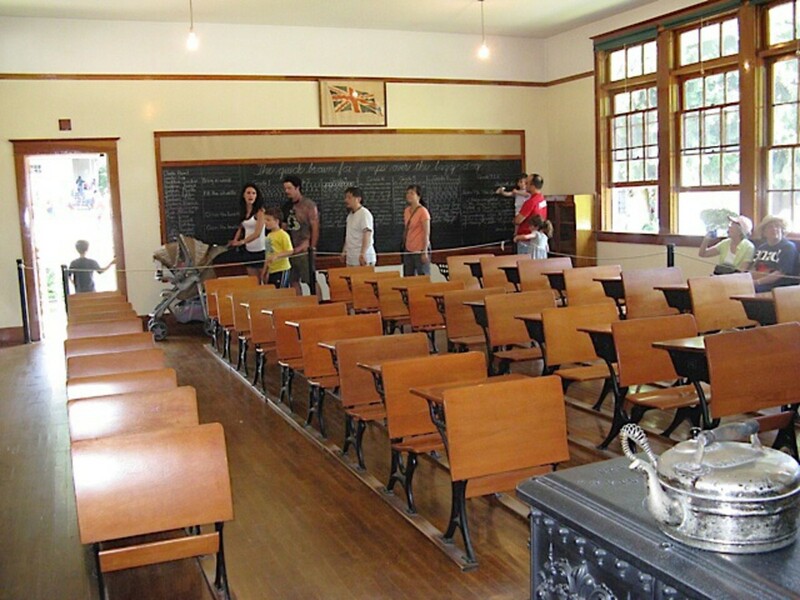 According to the museum, a typical school day in the 1920s began with the singing of "God Save the King" and the recitation of the Lord's Prayer. This was followed by the teacher inspecting the students' hands and finger nails. When class work began the teacher may have had to help students in as many as eight different grades. The students wrote with pens that had to be dipped in an inkwell in order to write. Lunch and snacks were carried in tins, baskets, or pieces of cloth. 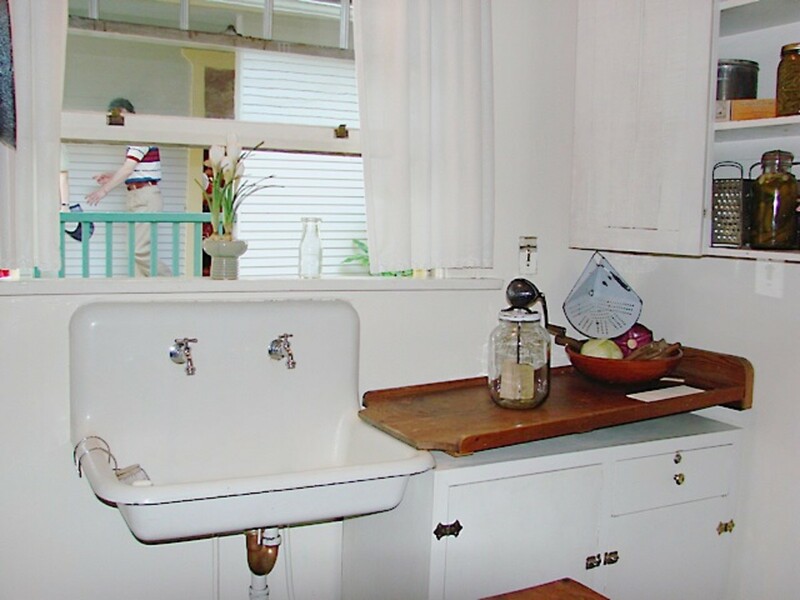 Typical foods included apples, cheese, hard boiled eggs, homemade bread, cake, cookies, and sandwiches. Games during breaks included marbles and hopscotch. The Burnaby Post building contains a functioning printing press. It's very interesting to see this printing press in action. The "Burnaby Post" was a real community newspaper of the 1920s and 1930s. Each edition was four to eight pages long and took about a week to set up and print. In addition to newspapers, print shops of the 1920s produced items such as advertisements, signs, business cards, invitations, and tickets. By today's standards, each printing job was very cumbersome because type had to set by hand. Each piece of type had to be put into place individually. Letters also had to be positioned upside down so that words would print correctly when inked in the printing press. 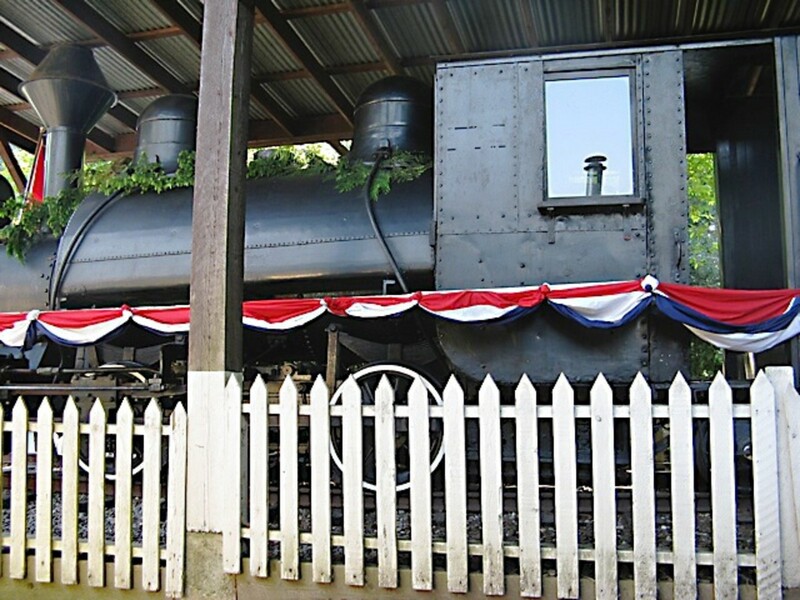 The restored Interurban tram #1223 is on display at the tram barn and is open to visitors. The tram was active between 1913 and 1958. Interurban #1223 was owned by B.C. Electric and transported both people and goods. In the 1950s, buses started to replace trams and tram tracks were removed. 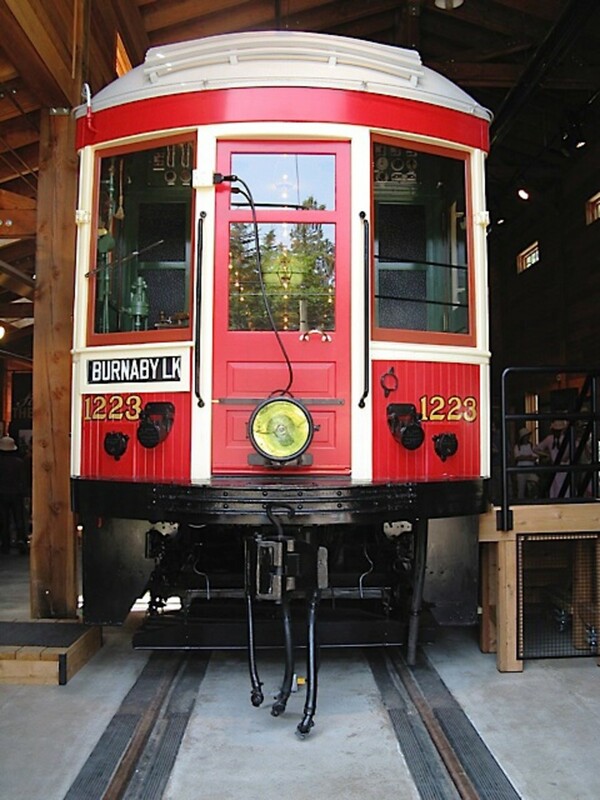 The Interurban #1223 was one of only seven trams owned by B.C. Electric that weren't destroyed when they were no longer needed. However, it seemed for a while that vandals and the elements would end up destroying Interurban #1223 anyway. 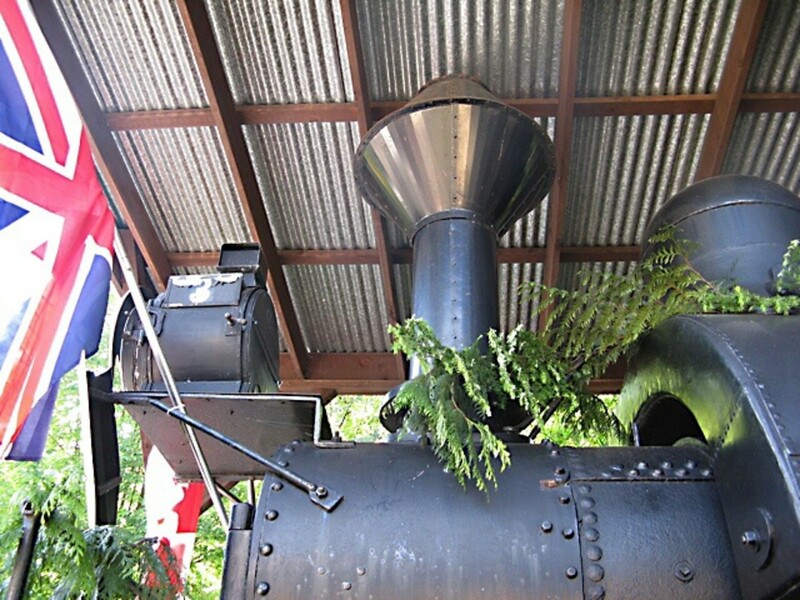 In 2000 a group of dedicated volunteers came together to raise money for the restoration of the tram. After many hours of painstaking work, the tram was returned to its original condition. 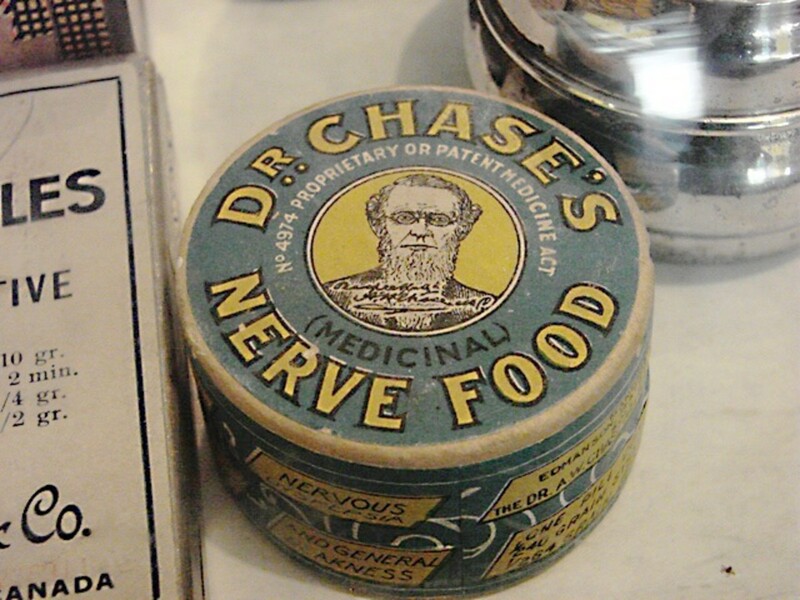 It's now a popular exhibit at the museum. The tram can function, but it spends most of its time in its barn. Here it can be explored by the public while being protected from the elements. 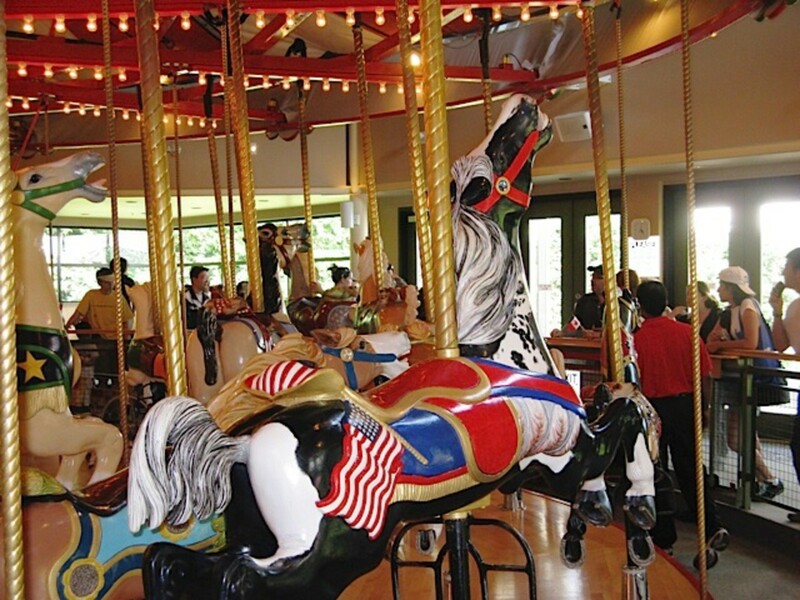 The indoor carousel at the Burnaby Village Museum was built in 1912 by the C.W. Parker company in Kansas and sold in 1913. 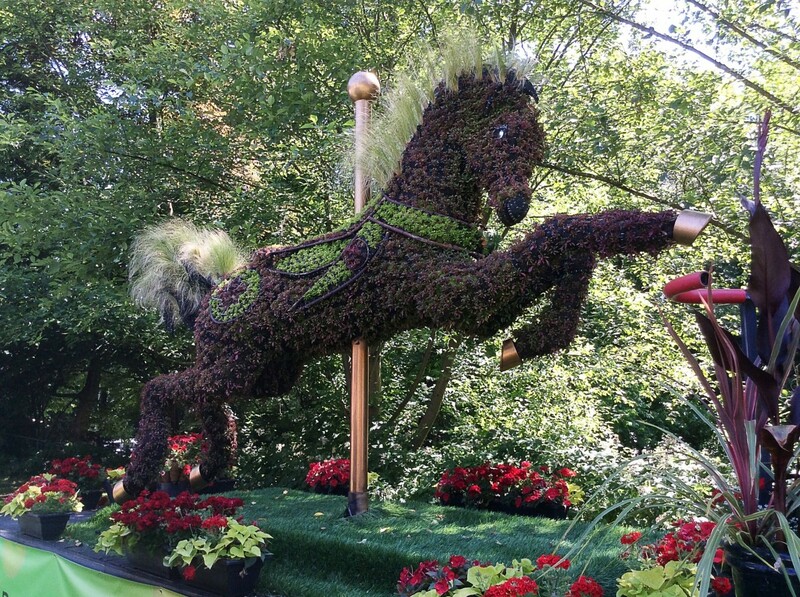 It was the 119th carousel made by the company and is sometimes known as Parker #119. The carousel spent the first two years of its existence travelling around Texas with the Lone Star Circus. From 1915 to 1936 its fate is unknown, but it's thought to have travelled from place to place in the United States. In 1936 Parker #119 was purchased by a Vancouver amusement park called Happyland. Happyland was demolished in 1957. 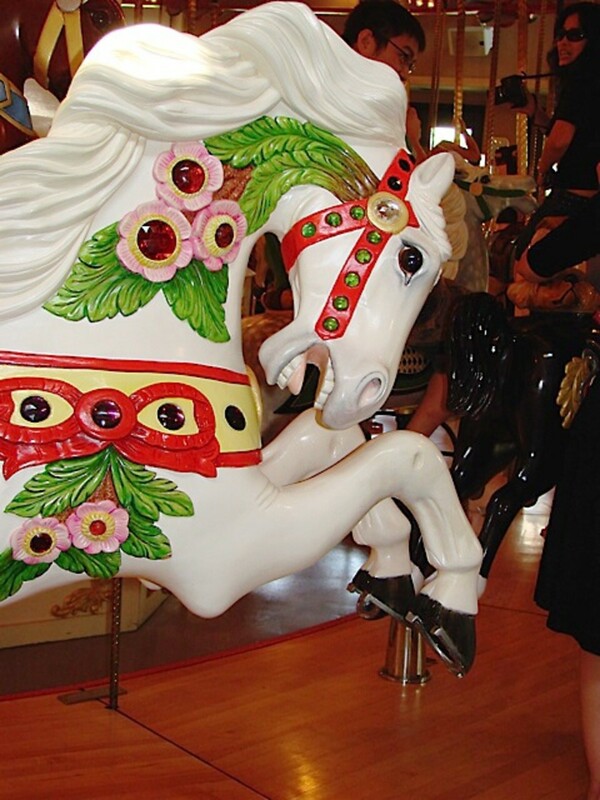 The carousel was then sent to another Vancouver amusement park called Playland, which still exists. In 1990, enough funds were available to buy the carousel and transport it to its new home, which was a pavilion built by the museum. Here it has become a very popular exhibit. The carousel has been beautifully renovated and is in working order. The music for the Parker #119 carousel ride is provided by a 1925 Wurlitzer military band organ. This can mimic the music produced by a large band and produce 90 decibels of sound. Like the carousel, it is carefully and lovingly maintained by enthusiastic staff members at the museum. The log cabin decorated for winter on BC or British Columbia Day (the first Monday in August). The museum has an ice cream parlour/restaurant that sells modern treats and food to visitors. The ice cream parlour and a multipurpose room can be rented for special events. 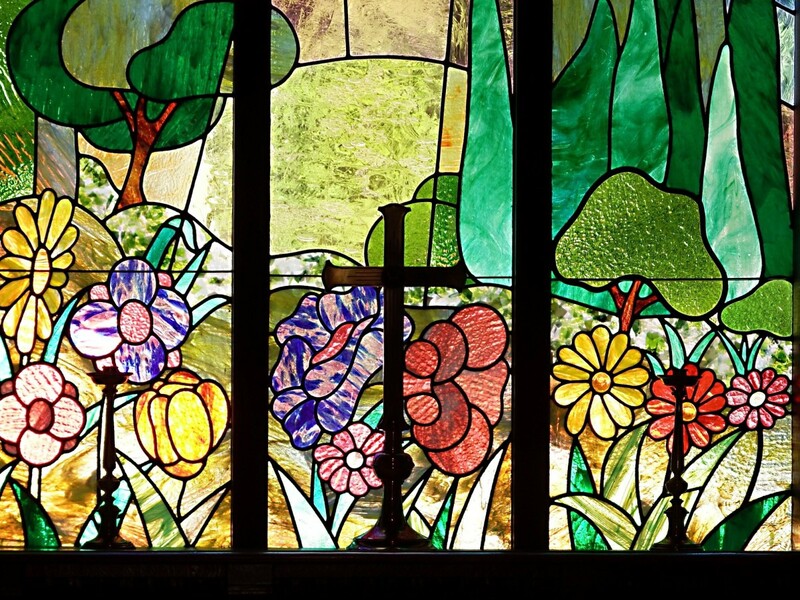 The site also has an attractive chapel that is a replica of a 1920s version and is open to the public. 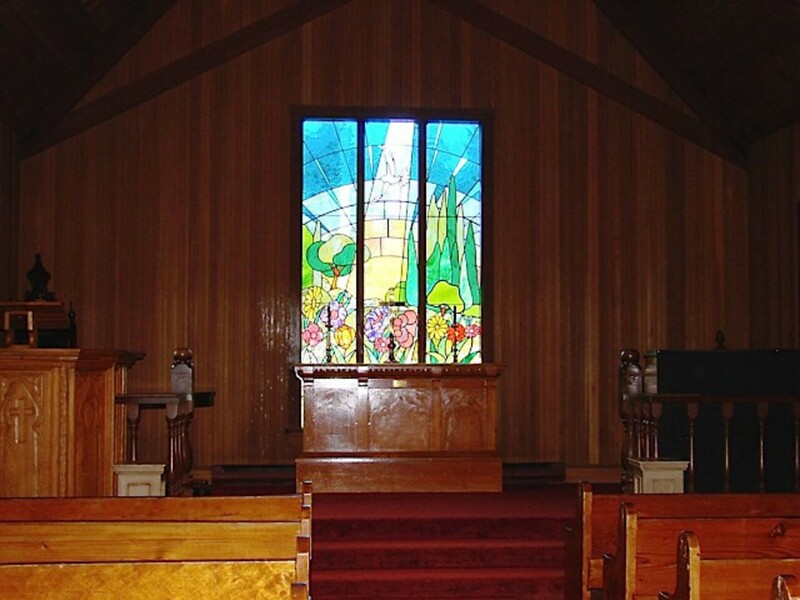 The chapel seats about eighty people. It can be rented for weddings and other events. There is a gift shop next to the carousel pavilion. Washrooms are available in several places on the museum grounds. The museum is a wheelchair accessible site. The museum is generally open from early May to early September for the summer season and from 11 am to 4:30 pm on each day. 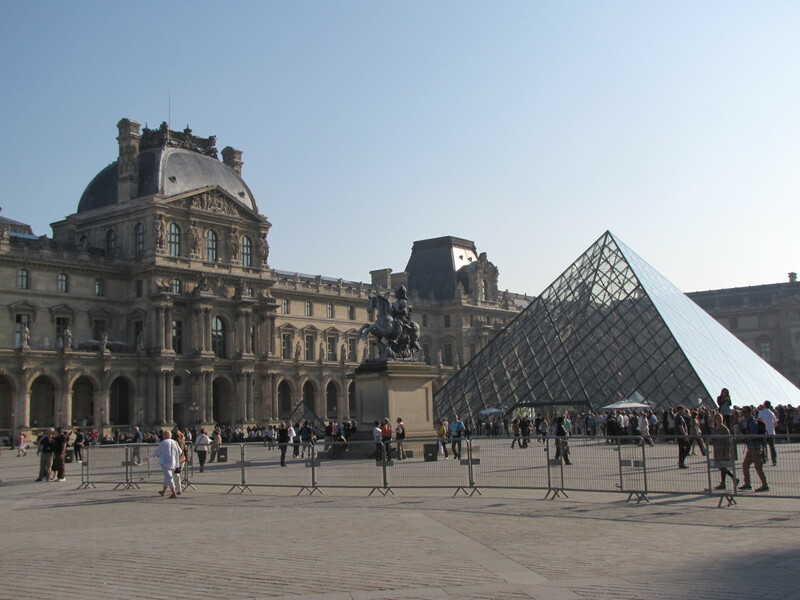 (During the summer, the museum is open on weekdays and weekends but is closed on non-holiday Mondays.) The museum reopens for a Halloween celebration in late October. The third opening is for the enjoyable Heritage Christmas celebration. This takes place between late November and January 1st. The museum is usually closed on December 24th and 25th, however. 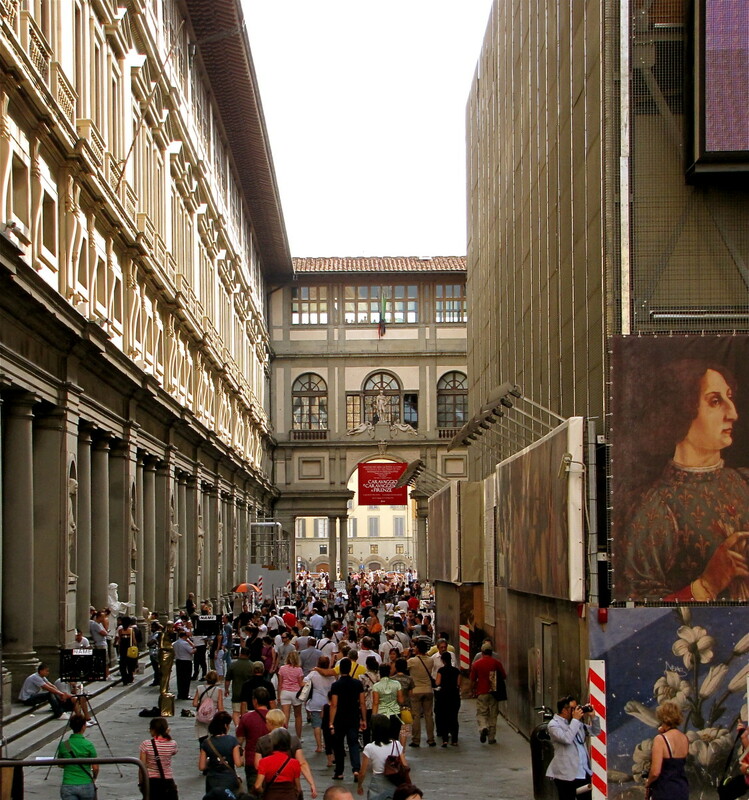 Museum admission during the summer season and the Christmas event is free. 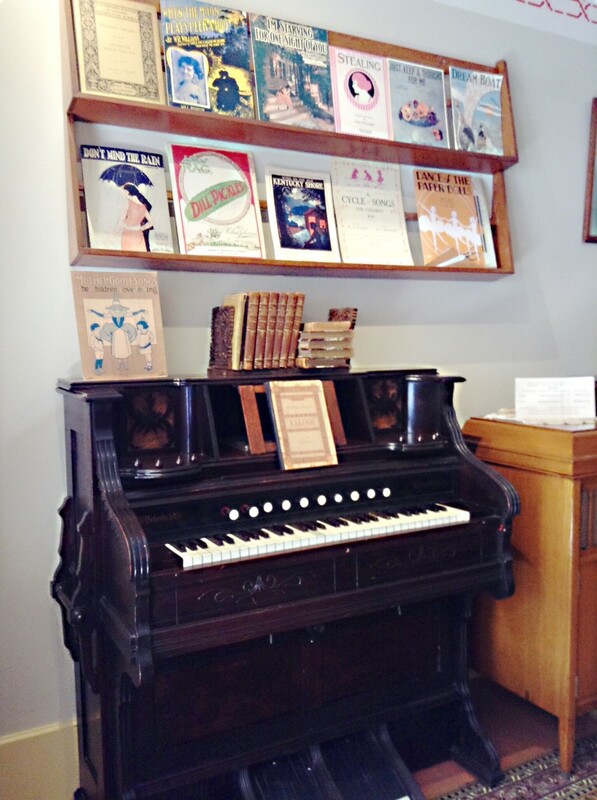 Money is needed if visitors want to buy food at the restaurant, purchase items at the gift shop, or activate the player piano located in the music store, which I always like to do. 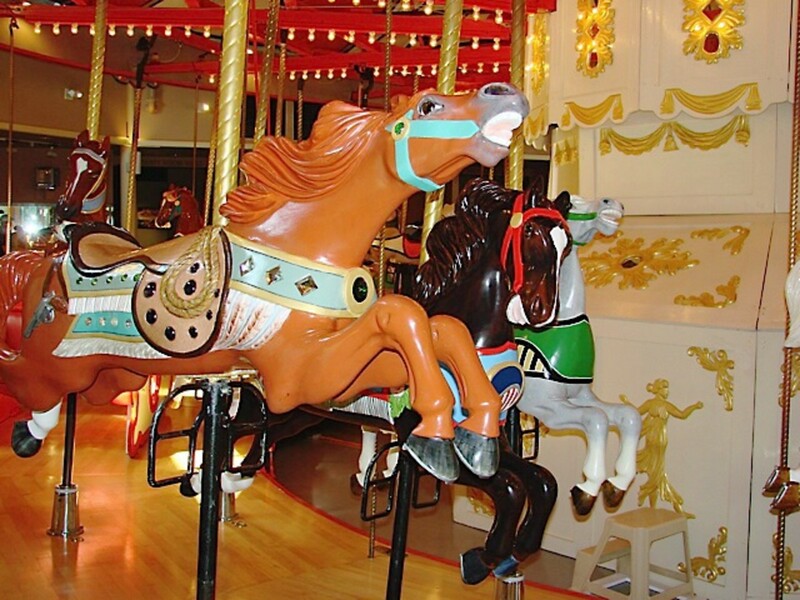 Carousel rides are currently $2.65 for all ages. Parking is available in Deer Lake Park for drivers. There is also a bus stop by the museum. The TransLink website has lots of useful information for people travelling by public transit, including details about routes, schedules, and fares. TransLink vehicles are all wheelchair accessible. 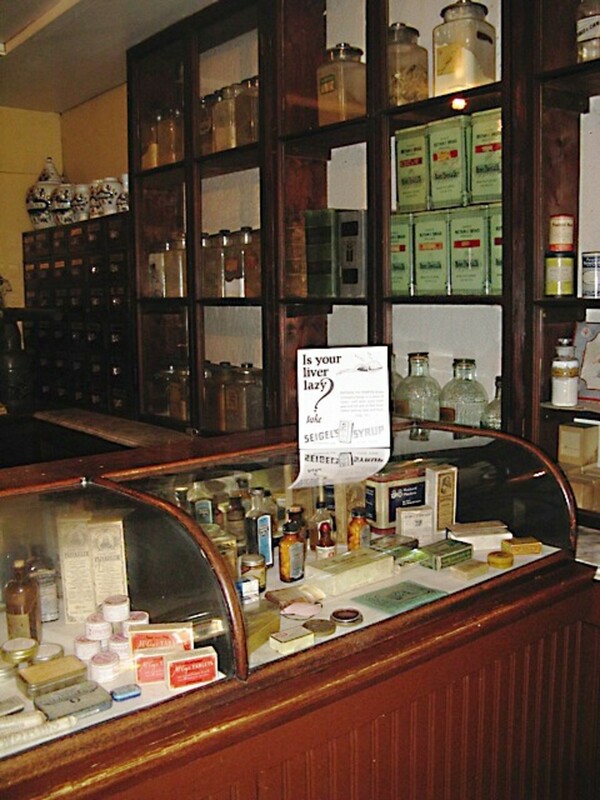 The museum website contains some interesting information in addition to facts about the village. According to the website, these are some examples of 1920s slang with their modern equivalents. It's enjoyable and easy to explore Deer Lake Park beyond the boundaries of the Burnaby Village Museum. Originally, "Deer Lake Park" meant an area to the east of Deer Lake where large and expensive homes were built. Now that trails have been built around the lake, the term "Deer Lake Park" refers to the entire area surrounding the lake. A beach with a playground is located beside the lake, as shown in the video above. Non-motorized boat rentals are available in this area. The park also contains a wilder landscape, which is enjoyable for nature lovers. 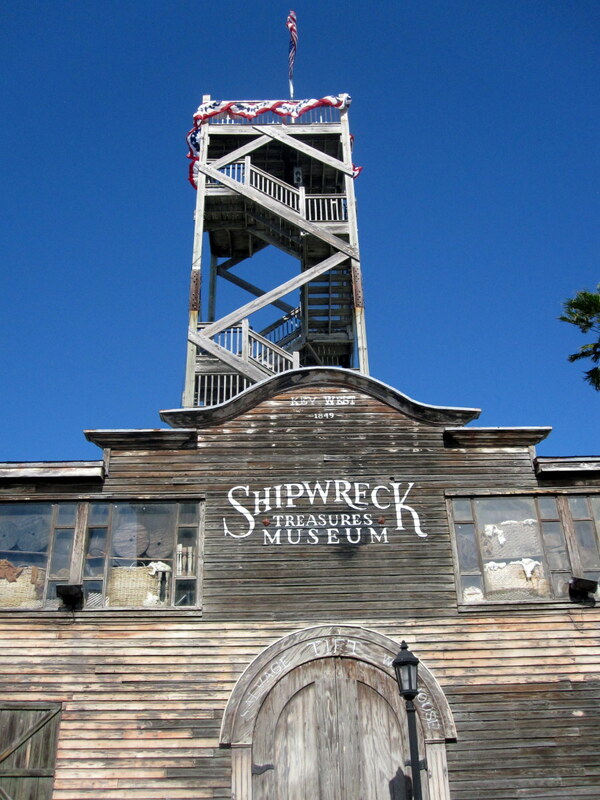 Entrances to the trails and the beach are located close to the museum. 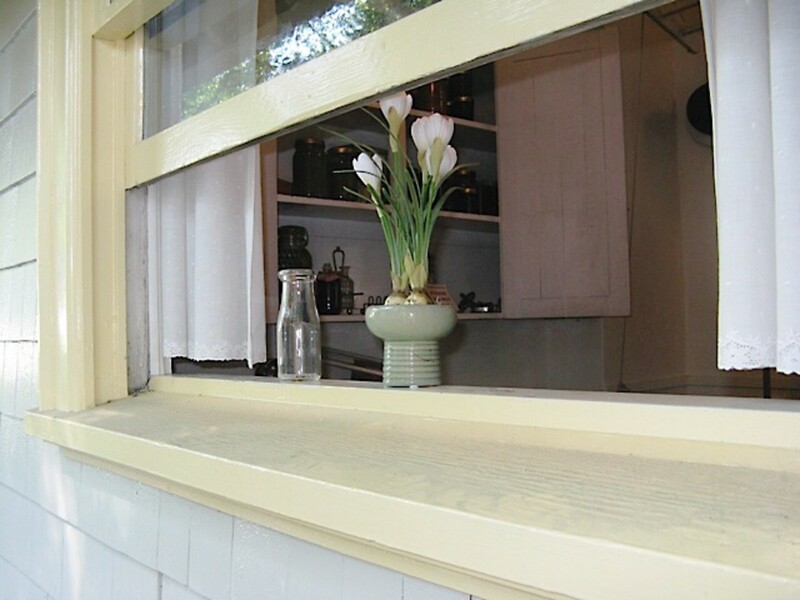 Another attraction in the park is the heritage homes, which like Elworth were built in the early twentieth century. Some of the buildings are no longer used as homes, however. 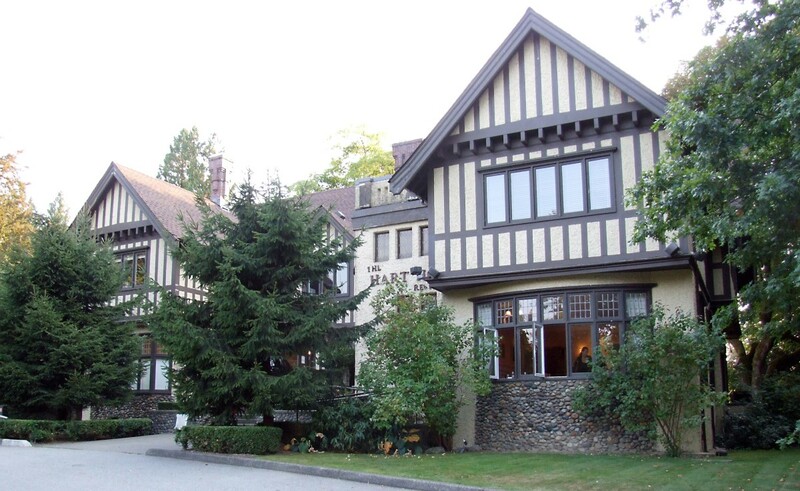 Avalon is now the Hart House Restaurant, for example, Altnadene is part of the Shadbolt Centre for the Arts, and Fairacres has become the Burnaby Art Gallery. The Burnaby Art Gallery is known not only for its art but also for its ghosts. 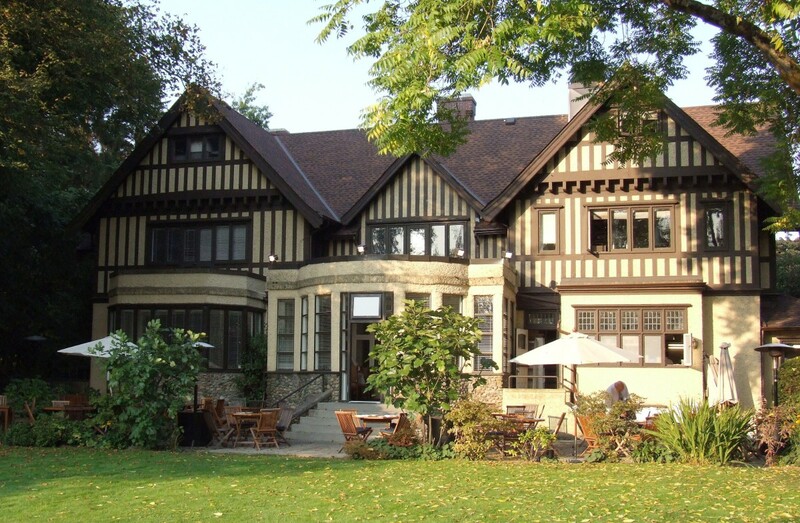 It was built in 1911 for Henry and Grace Ceperley and at that time was known as "Fairacres". The mansion was accompanied by a large estate and was intended to be a retirement home. 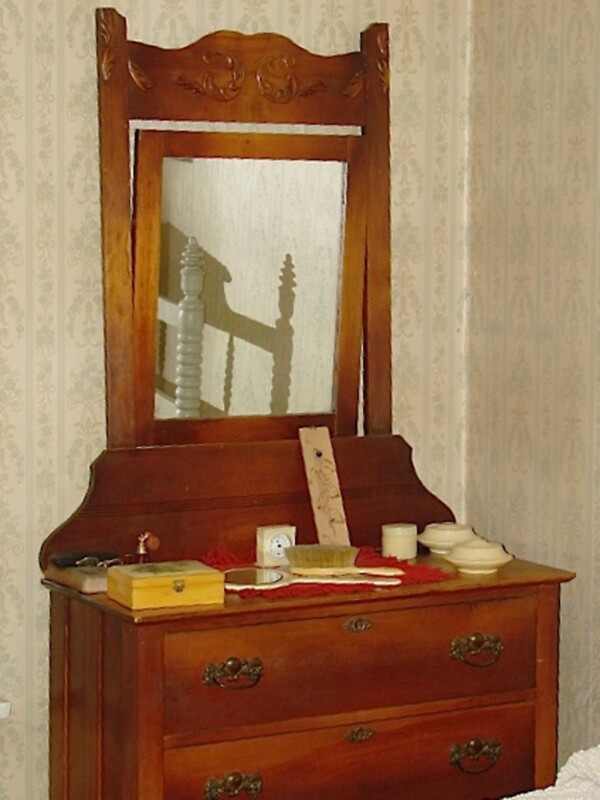 The home was actually bought by Grace, who had inherited a large amount of money from her brother-in-law. When Grace died in 1917 she left Fairacres to her husband, with the stipulation that if it was ever sold some of the money must be used to build a children's playground in Stanley Park. In 1922 Henry Ceperley sold the home. A story circulating on the Internet says that Ceperley ignored his wife's request and kept all the money from the sale of the house. In true ghost story fashion, this supposed defiance of his wife's wishes is often suggested as the reason for the spooky happenings at the art gallery. The accusation may be unfair to Henry Ceperley, however. According to the Stanley Park Ecology Society, a children's playground was establshed in the Ceperley Meadows area of the park in 1924. Today this play area is known as Ceperley Playground. the appearance of a women wearing a flowing white dress in the style of an earlier time. She travels through walls and creates an atmosphere of tranquillity tinged with sadness. 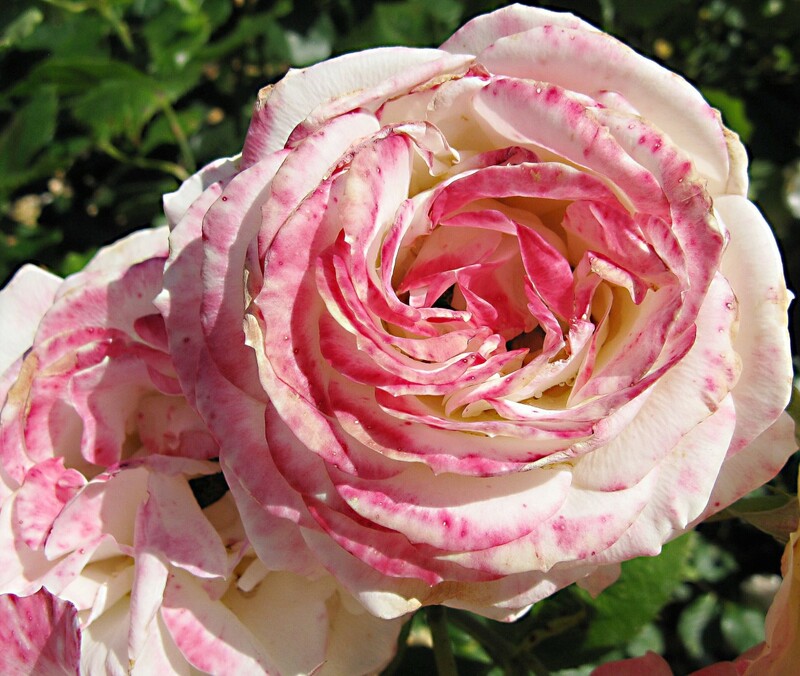 The woman is usually assumed to be Grace Ceperley. Her presence has been reported by multiple people and on different occasions. Do the ghosts of Burnaby Art Gallery really exist? I don't know, but they are an intriguing topic. I often think about them when I go to the Burnaby Village Museum and look at life as it was in the 1920s. 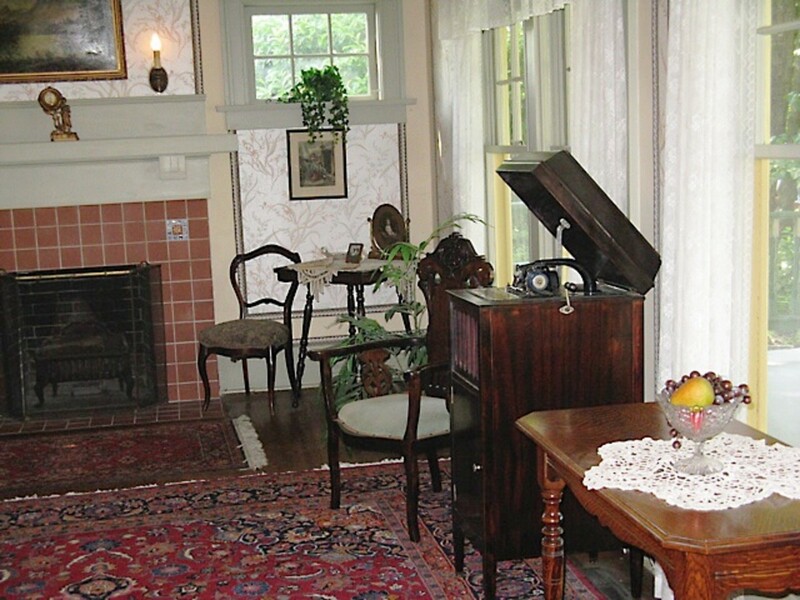 The Burnaby Village Museum website is a useful resource for visitors. TransLink runs the Burnaby and Vancouver public transit system. Page 26 of this document from the Stanley Park Ecology Society mentions the playground at Ceperley Meadows. I think British Columbia is beautiful, too. I wish I was able to explore Ontario, though. Thank you for the comment, Mary. I have been to Burnaby but I learned more from your hub. You live in a beautiful province. Thank you, Sherry. I think the museum is worth vísiting. It's an interesting place. The 1920s is a favorite decade of mine and this historic location will be on the list of things to see in British Columbia. The photos you present make it more inviting. Thank you very much for such a lovely comment, Peg! I appreciate it. I went to the museum recently to celebrate Canada Day. It's a very enjoyable place to visit. It's also a great place to learn about the past! This one should win a Hub of the Day award, AliciaC. I loved everything about it and watched the videos, too. The carousel brought back such fond memories. What a grand slice of the old times. Hi, Peggy. Yes, I think that museums like this are very valuable. They are a great way to teach people about history. Thank you so much for the vote and the shares, Peggy. I appreciate them very much! 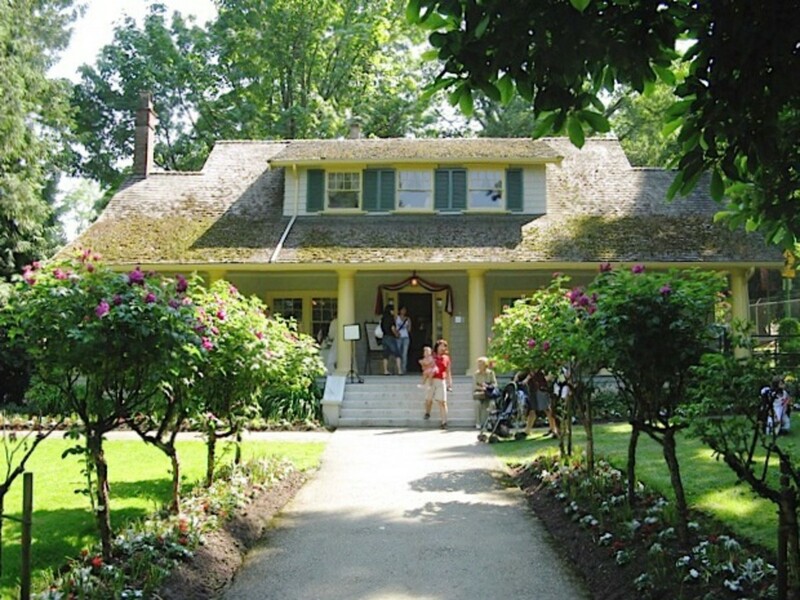 Thanks for this in depth look at the Burnaby Village Museum. Loved all of the accompanying photos as well as the information. It reminds me of the interactive museum of a similar type in Wisconsin that I have seen. Places like that are invaluable for showing what it was like in times past. Up votes and pinning to my Canada board as well as G+ and sharing with HP followers. Hi, Deb. I went to Vermont many years ago, but I never visited Shelburne. I'd love to see more of the United States! Thanks for the comment. This place sounds like a gas, Alicia. Reminds me of Shelburne in VT! Thanks, VioletteRose. The museum is definitely worth a visit! Hi, techygran. Attending a wedding at the museum must have been a lovely experience! Thanks for the comment. I hope you're able to visit the museum again. a beautiful museum! Thank you for the comprehensive article you wrote about it, along with the videos you have selected. We once attended a wedding there but I have not been to explore the museum and certainly will now! Hi, ologsinquito. Yes, it is interesting to see how people lived not so long ago. The museum is fun to explore. This must be such an interesting place to visit, because the historic period it represents is so recent. 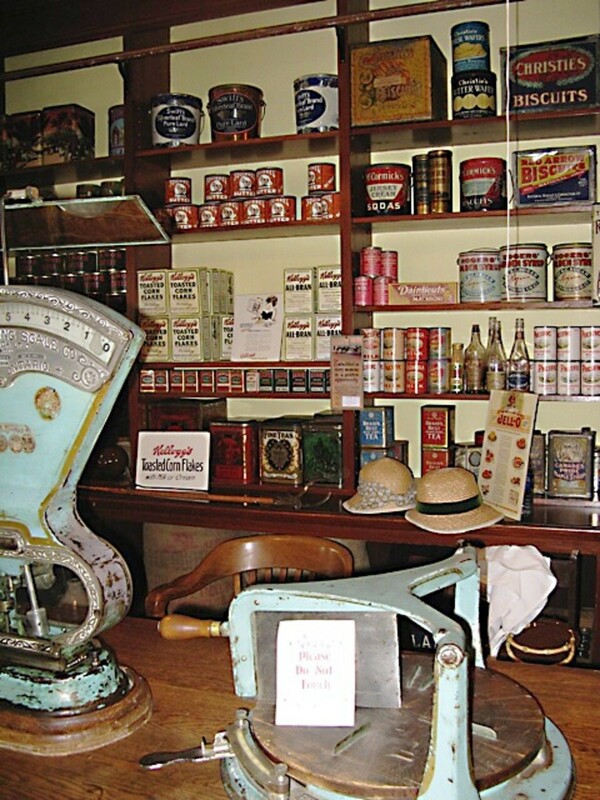 Most living museums in the United States depict a much older period. Hi, Audrey. Yes, visiting the village is both fun and interesting. 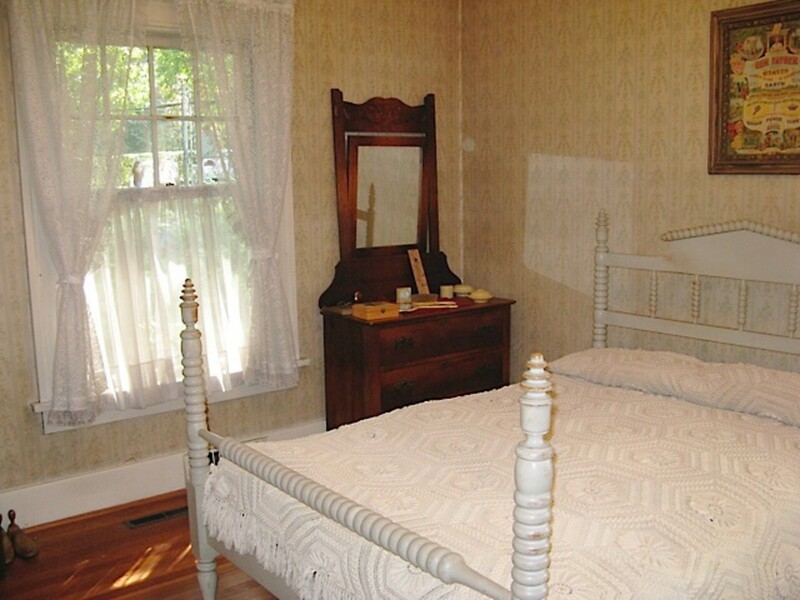 The stories of ghosts in the area are very interesting, too! Thanks for the visit and the comment. Thank you so much for the comment and all the votes, Prasetio! I appreciate your visit. It's great to hear from you again! This looks like such a fun outing! And thank you for including the section on ghosts! Hi, Bill. Thank you very much for the comment and the congratulations. Congratulations to you for your top ten selection, too! Burnaby is an interesting place. 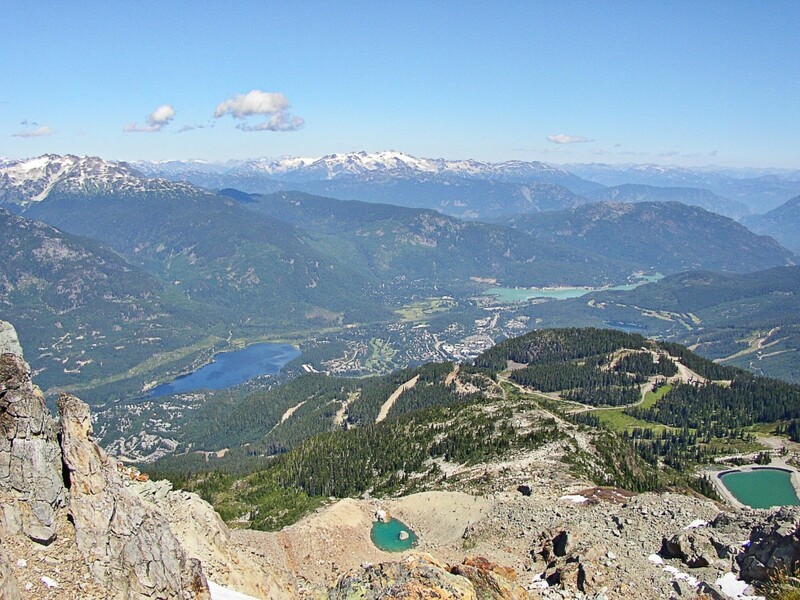 The Ironman Canada competition is actually held at Whistler in British Columbia, though. I enjoy visiting Whistler, but I've never been there during the Ironman competition. Hi Linda. I have heard of Burnaby. Is that where they hold the Ironman Canada Ironman competition? What a wonderful looking place. I'll have to add it to my list of place s to visit. Hi, tirelesstraveler. Thanks for the visit. No, Burnaby isn't very cold in winter. We generally get just a few days of snow. 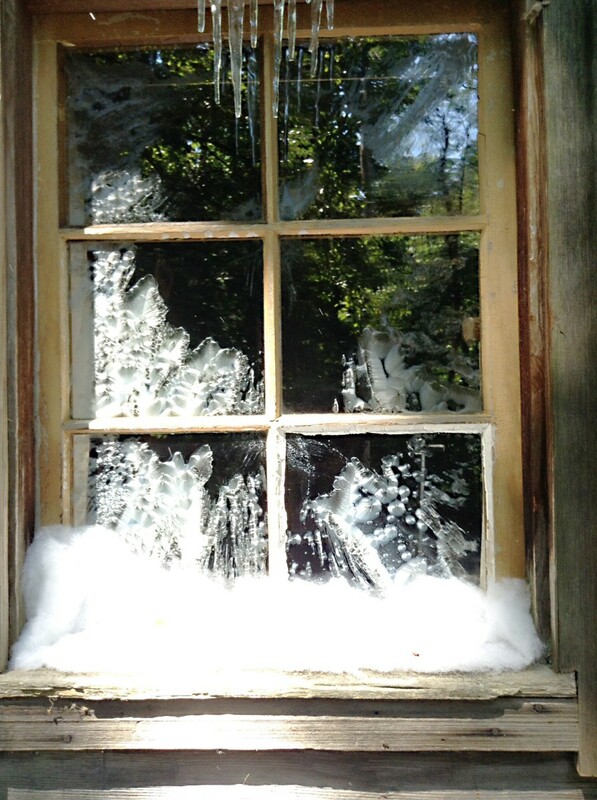 Occasionally, we get snowy periods that last for a week or more. Many people would like the snow to coincide with Christmas, but that doesn't usually happen! Will put Burnaby on my list for visiting. Love traveling the world and noting architecture. Is it very cold in Burnaby in the winter? These houses remind me of Germany and Switzerland. Hi, Alastar. Thank you very much for the comment. I hope you make it to British Columbia one day! Thanks for reading and commenting, kerlund74. It's a shame that it's so expensive to travel. I would love to visit Sweden, but I doubt that I'll ever be able to. Hi, Cynthia. Thanks for the comment. Yes, the museum is a very interesting place to visit. There's a lot to see in the museum and in the surrounding area. Thank you, DDE. I appreciate your visit and comment! 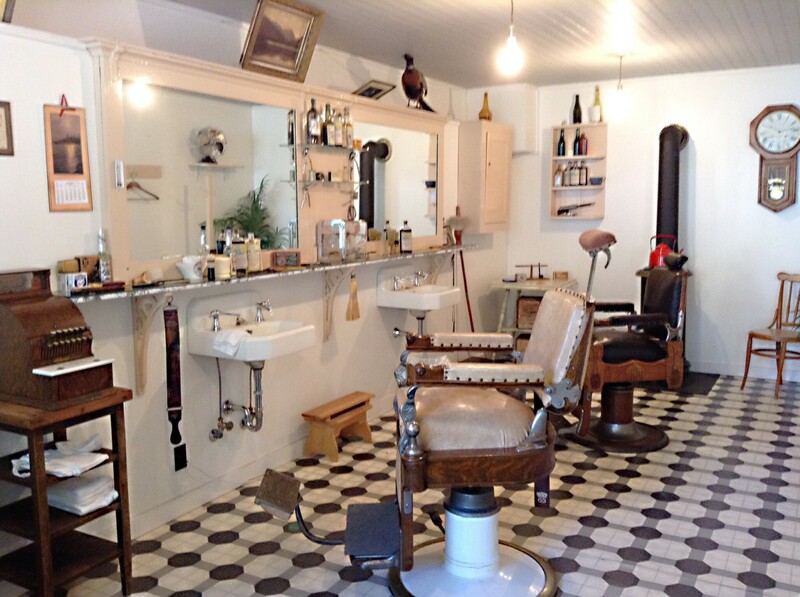 Wonderful look at the Burnaby Village Museum. For the longest I've wanted to visit B.C. and this one part of the next best thing. Thanks, Alicia. You invite us to an interesting ans wonderful journey here:) An interesting place and such a wonderful house Elworth House seems to be. I think this is a great place to visit during summer vacation. I will not have the option, though it is a bit to travel for me, but it sure was an interesting hub. A beautiful hub with the such great history here about another place I had no idea of you showed me so much more here. Thank you very much, Vellur! Yes, the carousel is wonderful. The museum has kept one horse in its original state and put it on display so people can see how successful the restoration has been. The transformation is very impressive! 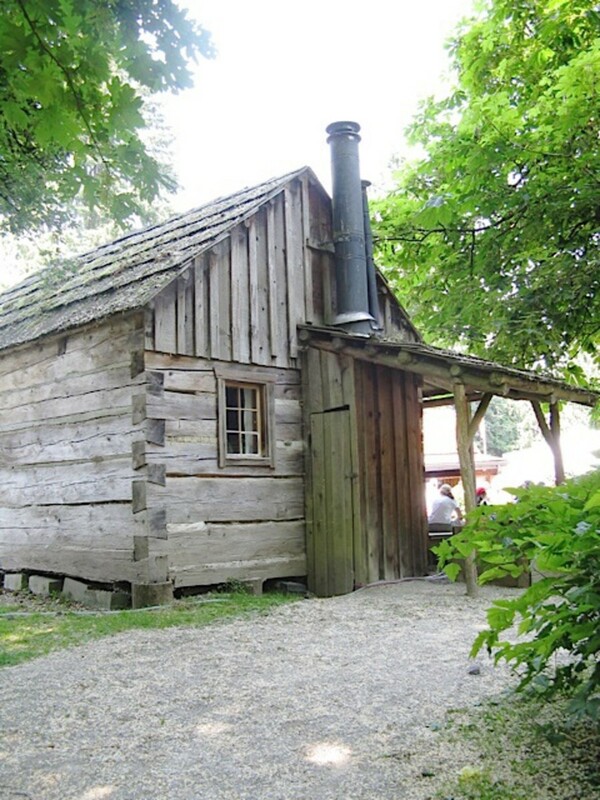 I would love to visit the reconstructed Burnaby Village Museum after reading your hub. The carousel is totally awesome! Thank you for the wonderful trip. Enjoyed!! Hi, epbooks. Yes, the village is very interesting, and the weird reports from the art gallery are intriguing! Thank you very much for the visit. Wow- this looks like an amazing place to visit. I think I'll need to put it on my list. 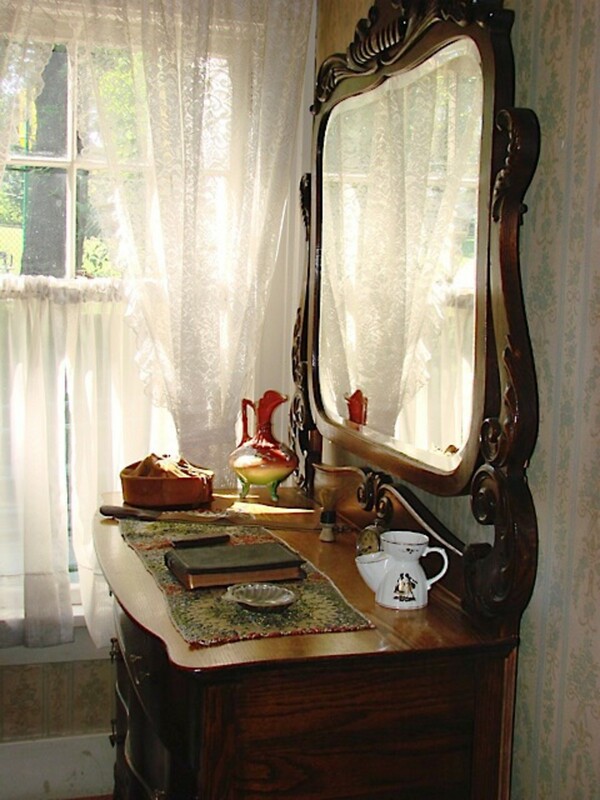 I love hearing about the ghosts too- intriguing! Hi, Nell. Yes, the museum is something like a theme park. 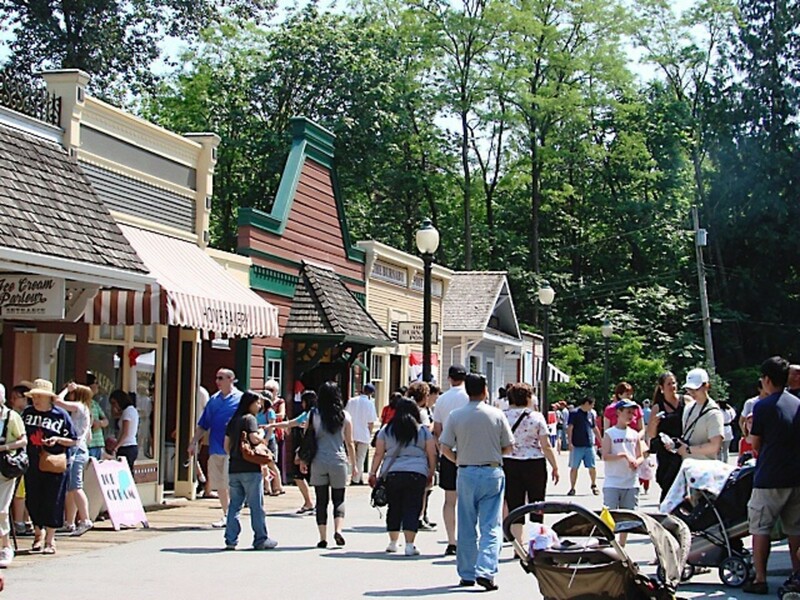 Visiting places like the Burnaby village or the Victorian one that you mention is a fun way to learn about history! Thank you very much for the comment, the vote and the share, Nell. Thank you, Writer Fox. I appreciate the comment and the vote! Yes, the information, buildings and items that have survived from the 1920s are all very interesting. Before the stock market crash in 1929, the 20's were an opulent era and I love the architecture and the furnishings from that time. Enjoyed your article and voted up! Thank you, Maren Morgan! I appreciate your comment. The 1920s were an interesting time. I enjoying looking at items from that period and learning about them. 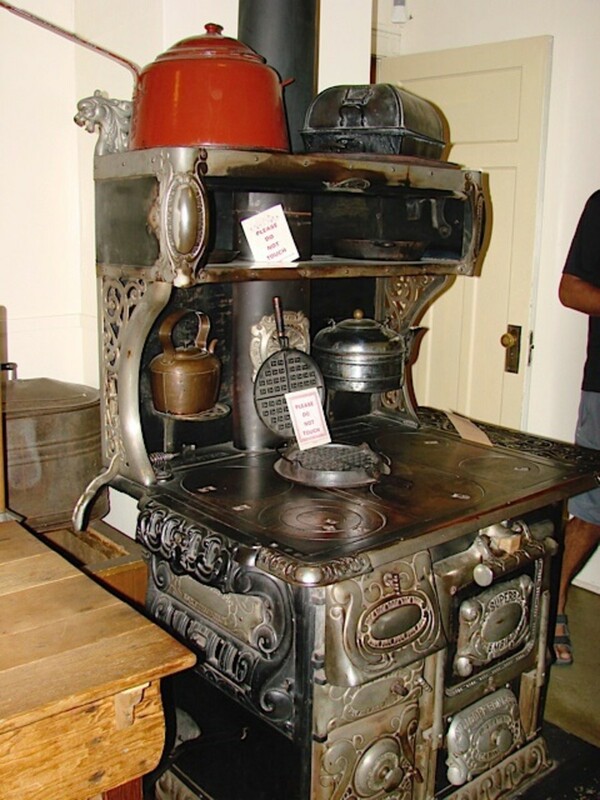 Wow - I love the twenties and Burnaby Village has items that look as though they may be similar to what my grandparents experienced in the rural mountains of Pennsylvania. Thanks for a great article! Thank you very much for the kind comment, Bill! I like Burnaby, too. It has its urban areas, but it also has natural areas that have been untouched or only slightly modified. I haven't been to Burnaby for many moons, but this helped me remember everything I liked about it. Wonderful look at a wonderful village. Thank you Alicia. Thanks, Jodah. I appreciate your visit and comment! Very thorough and interesting hub Alicia. Burnaby Village Museum looks very ineresting. Great pics too. Hi, grand old lady. Yes, both the museum and the area next to it are lovely places to visit. Thanks for the comment. Sounds like a beautiful place to visit. Not just the museum, but the surrounding parks and areas, too. Interesting that a museum was built around the 1920s theme. Thank you very much for the lovely comment, Faith. I appreciate all the ways in which you've shared the hub, too! Thanks so much. Exploring the museum and its surroundings are fun ways to explore both cultural history and nature, two topics that interest me a great deal. I hope you have a great weekend, Faith. 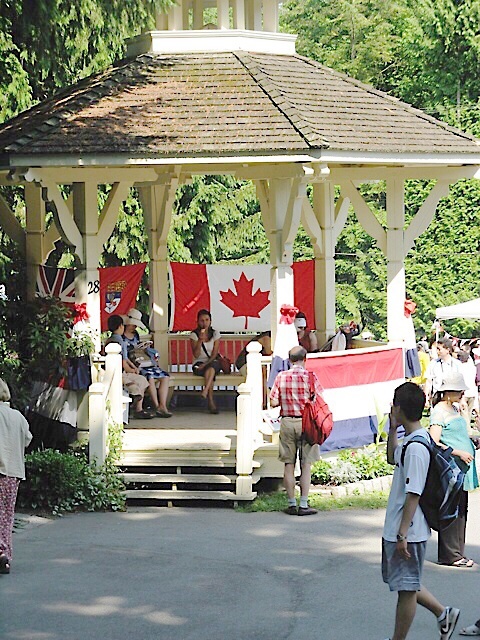 Thank you for taking us along on your trips to the Burnaby Village Museum and giving us a good glimpse into British Columbia Life in the 1920s! This is a fascinating read. There certainly is much to see and do there. I love carousels too. The ghosts of Burnaby Art Gallery certainly add much intrigue to visiting there indeed! This is an exceptional hub here, and I truly love your interesting photos you have shared to add much interest.